The bottom right picture explains Jellybean’s I-stuffed-my-face-with-too-much-cake-look (hilarious, isn’t it?) 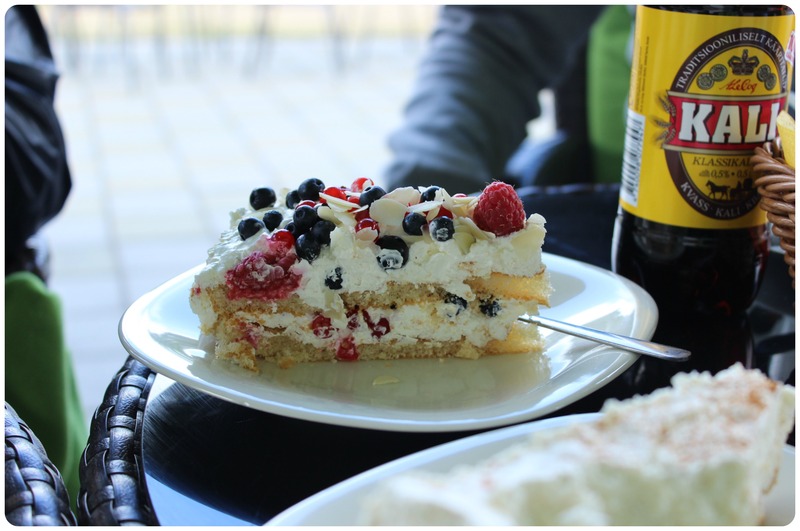 in the other two – it is, without a doubt, one of the world’s most delicious cakes. It’s a baked apple-yoghurt cake that’s fluffy and light as a cloud, not too sweet and very flavorful. I will try to make it and perfect the recipe, then hand it on to you guys! Curd and berries, a classic! Jellybean is a lucky little girl – her daddy, auntie and mommy all agreed demanded to take her down the slide. I love how we’ve captured the moment on these photos. I would like to draw extra attention to the first one, I think it’s hysterically funny!